CASL Check here to receive communications, including emails, from Reliable Ford, Ford Motor Company of Canada, Limited and The Lincoln Motor Company** about them and their products, services, events, news, offers, customized ads and more. You may withdraw consent at any time. Air Conditioning, Aluminum Wheels, Steering Wheel Audio Control, Power Windows, Cruise Control! Check out the large selection of pre-owned vehicles at Reliable Ford today! 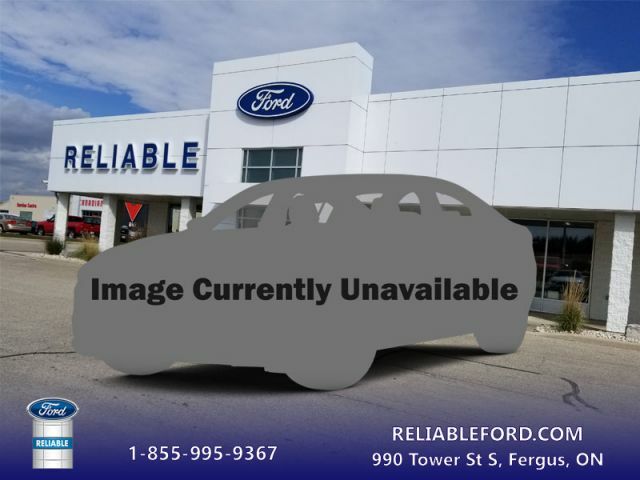 Compare at $11840 - Reliable Ford's price is just $11495! Practicality reigns supreme in this Dodge Grand Caravan. This 2013 Dodge Grand Caravan is for sale today in Fergus. This Dodge Grand Caravan offers drivers unlimited versatility, the latest technology, and premium features. This minivan is one of the most comfortable and enjoyable ways to transport families along with all of their stuff. Dodge designed this for families, and it shows in every detail. It's no wonder the Dodge Grand Caravan is Canada's favorite minivan. It's cashmere in colour. It has an automatic transmission and is powered by a 283HP 3.6L V6 Cylinder Engine. This vehicle has been upgraded with the following features: Air Conditioning, Aluminum Wheels, Steering Wheel Audio Control, Power Windows, Cruise Control, Power Locks. Our Grand Caravan's trim level is SE. The SE trim makes this practical minivan an outstanding value. It comes with dual-zone air conditioning, steering wheel-mounted audio and cruise control, power front windows, power locks with remote keyless entry, second-row bench seat and third-row Stow 'n Go split-folding seats, aluminum wheels, and more! To view the original window sticker for this vehicle view this http://www.chrysler.com/hostd/windowsticker/getWindowStickerPdf.do?vin=2C4RDGBG1DR508312. Buy this vehicle now for the lowest bi-weekly payment of $100.00 with $0 down for 60 months @ 4.99% APR O.A.C. ( Plus applicable taxes - Plus applicable fees ). See dealer for details. Reliable is very proud to have been a vital part of our community for over 75 years and look forward to the next 75!